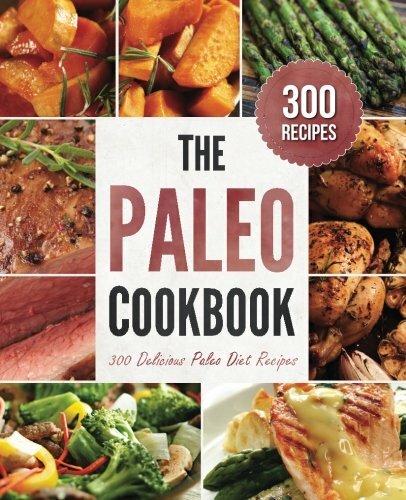 The Paleo Cookbook offers a huge 300 recipes for paleo eaters, covering everything you could possibly need, from comfort foods to vegetarian meals to delicious desserts. 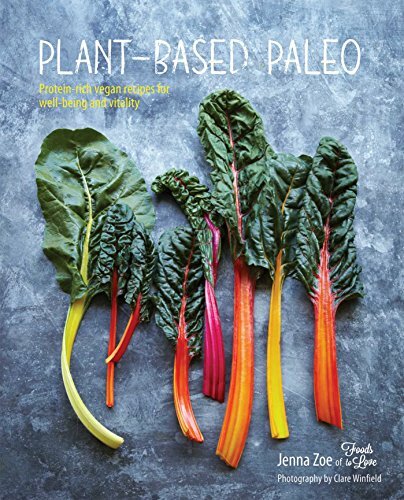 The book is great for paleo beginners, offering an easy transition from a ‘normal’ diet to a paleo one, but will also offer new and exciting ideas to long-standing paleos! 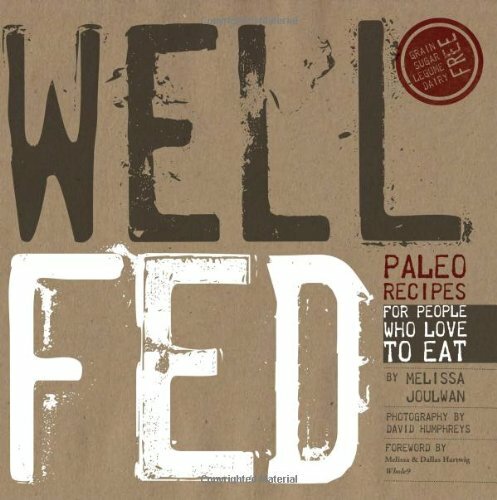 The Well Fed cookbook is full of every day paleo recipes for when you’re running out of ideas. As well as its 115 recipes, the book also offers tips for a ‘Weekly Cookup’ of ready-to-eat snacks. 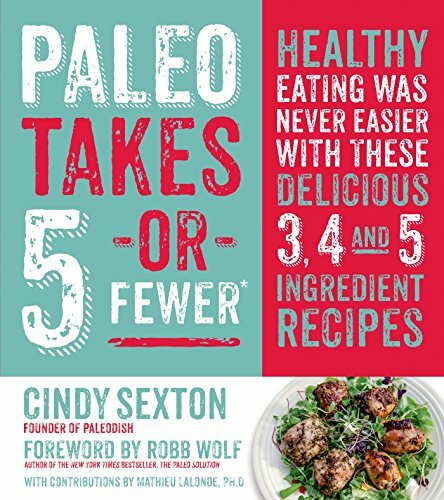 It focuses on health, flavor, and simplicity, and could be a great resource for paleo beginners and experts alike. 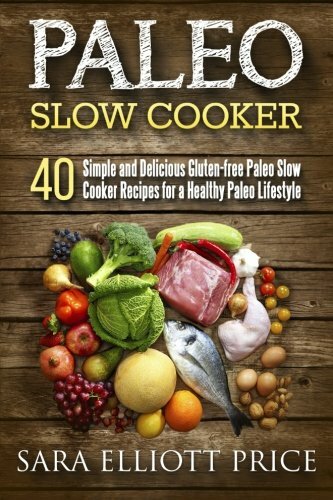 If you eat paleo and are a fan of your slow-cooker, you’ll love this book, which contains 40 recipes for breakfast, lunch, dinner, and dessert, all of which can be prepared using your favourite kitchen gadget. Some of the scrumptious recipes are Coconut Curried Chicken Soup, Maple Blueberry Bacon Breakfast Carnitas, and Lemongrass Beef Short Ribs. 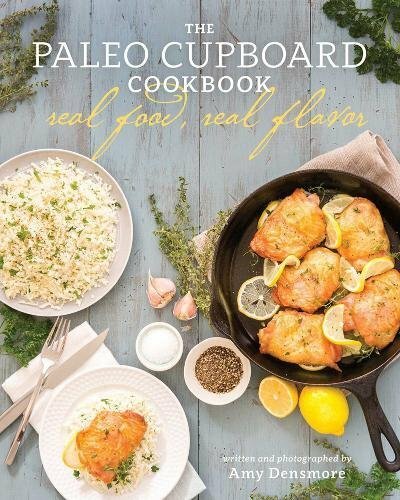 Full of a variety of dish types, with twists on traditional dishes as well as ethnic influences, The Paleo Foodie Cookbook is one for the paleo cook who’s looking for something new to try. There’s more than recipes too, as the author offers tips on food budgeting and eating local. With a best-selling predecessor and great reviews, this is one to try. With all of its flours and potatoes, the term ‘Southern cooking’ seems to just scream non-paleo. 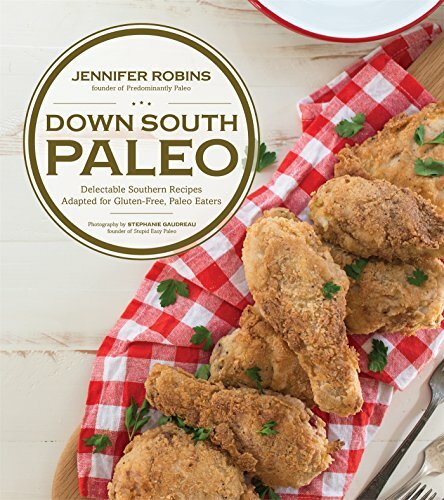 But in Down South Paleo, Robins proves us wrong – it turns out that you can eat delicious Southern food without the heavy carbs and grains. Yummy home-style recipes from the book include Texas Slow Cooker Beef Chilli, Home-Style Chicken-Fried Steak and Cream Gravy, and Creamy Cajun Chicken and Pasta. 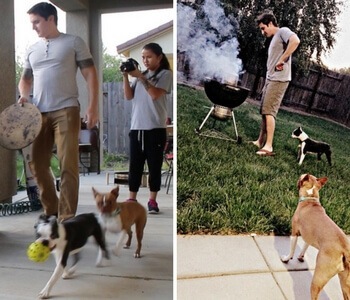 Bauer and Bryant are big names in the world of paleo, so you’ll be expecting big things. 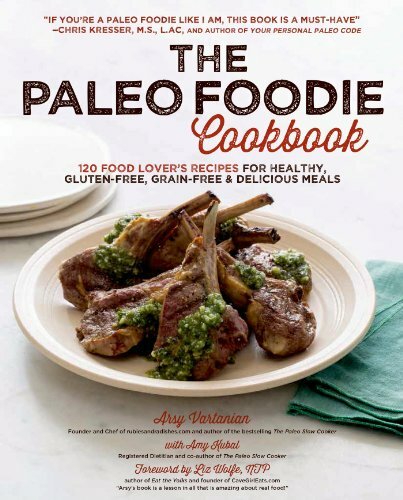 And with a book holding more than 100 paleo recipes, for everything from appetizers to desserts, we don’t think you’ll be disappointed. And these are big, bold recipes, with the likes of Citrus Mint Sugar Salad and Banana Chip French toast being amongst the collection! For avid bakers, going paleo can be difficult. But baking without grains is possible – you just have to know your paleo ingredients! 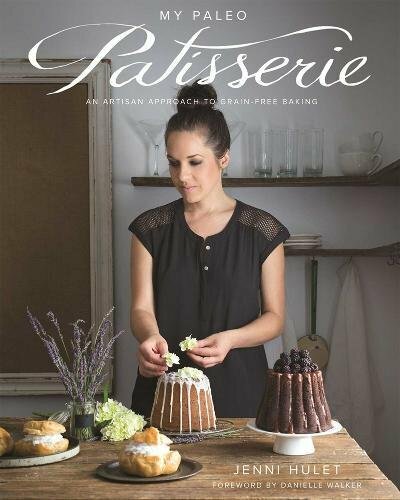 My Paleo Patisserie’s recipe collection is full of exquisite sweet treats for the modern paleo baker, with recipes for dishes such as French Apple Tart, and Matcha Green Tea Cream Puffs with Ganache. Eating out on the paleo diet can be a drag, especially when it comes to take-out food. 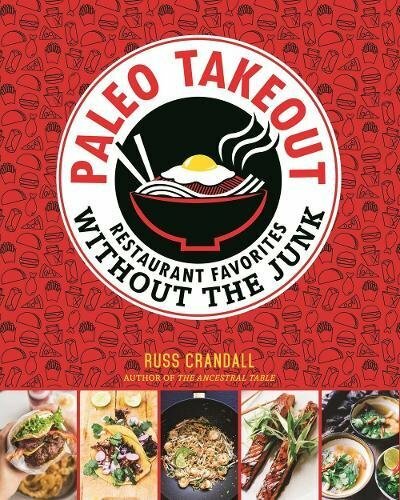 Paleo Takeout helps you to recreate your favourite restaurant and take-out dishes, so that you can enjoy them safe in the knowledge that they’re free from grains, dairy, sugar, and MSG and other additives. The book includes recipes from Indian, Chinese, Italian, and Mexican cuisines, among others, so there’s something for everyone. It doesn’t have to cost a fortune to eat healthily (and, importantly, tastily! 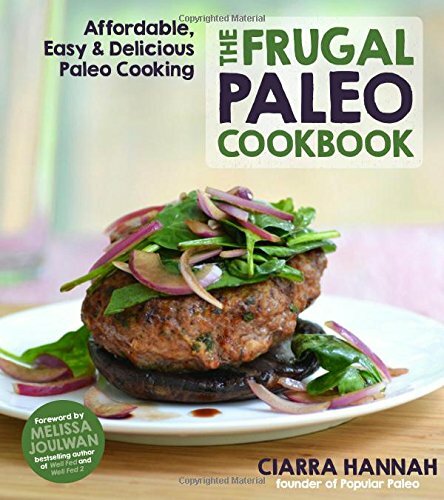 ), and The Frugal Paleo Cookbook is here to prove it. As well as 100 budget-loving recipes, Hannah also provides plenty of tips on budgeting, making food ahead, and other ways to save money. A great book for eating healthily and on budget, without compromising on taste. 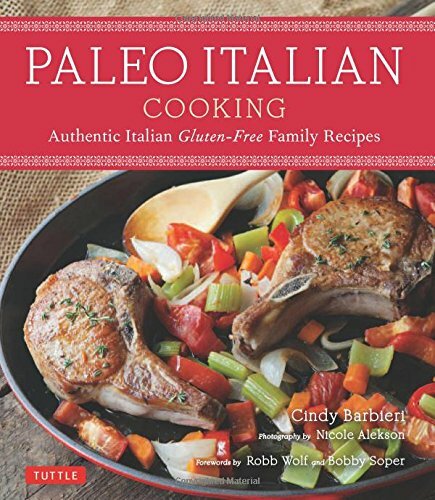 If you love Italian food but struggle to eat it on the paleo diet, you’ll love this book. Barbieri provides 100 grain-free, dairy-free, sugar-free recipes for Italian cooking, family style. In Paleo Italian Cooking, you’ll find soups, appetizers, entrees, desserts, and sides all suitable for eating on your paleo diet. The paleo diet’s lack of grains means that bread is (usually) a no-go, so finding foods for breakfast and lunches can be a little trickier than for other meals. 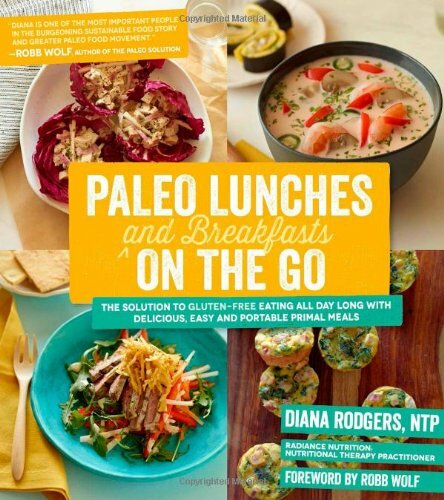 Diana Rodgers brings us the ultimate guide to eating paleo on the go, as working people so often are during mealtimes. The book includes recipes like Cherry Tarragon Breakfast Sausages and Bubble and Squeak. 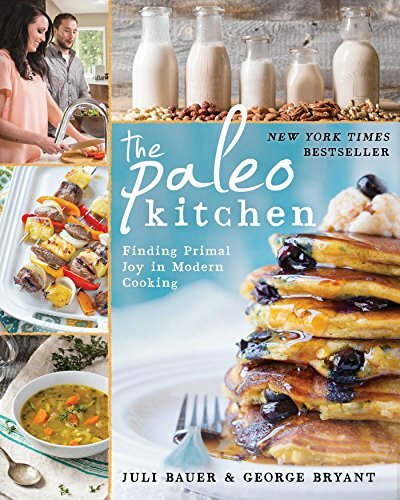 Paleo eating is supposed to be simple, like it was for our ancestors, and in Paleo Takes 5 or Fewer, Sexton takes us back to basics, with dishes such as Bacon-Crusted Chicken Strips and Mushroom and Sausage Beef Roll, which are all made using fewer than five different ingredients. This makes for simple cooking, as well as simple eating, and you’ll love the time you’ll save both shopping and preparing! With dairy and sugar getting in the way, paleo and chocolate don’t automatically go hand-in-hand. 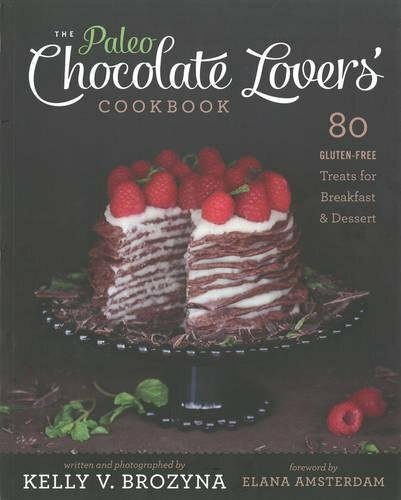 However, chocoholics can rejoice at this collection of recipes for delicious chocolate goodies, all free from dairy, grains, and refined sugar. Choose from the likes of Homemade Chocolate Bars, White Chocolate Truffles, and Lava Cakes. Tips and info on chocolate and its preparation will come in handy too. 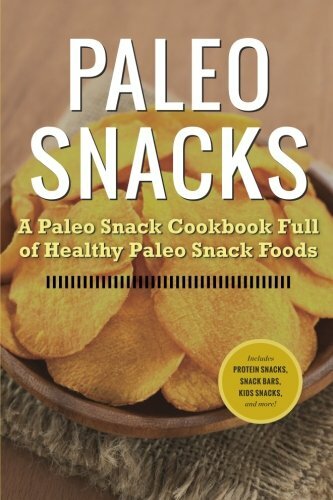 Paleo Snacks offers 40 recipes for paleo-friendly snack bars, potato chips, and more, so that you can cook some up and then grab-and-go throughout the week. They could save you from giving in to unhealthy sweet snacks or crisps when you’re peckish; you can try Oven-Fried Sweet Potato Chips or No-Bake Fruit and Nut Bars instead! One of the key elements of the paleo diet is protein, and the easiest way of getting that is by eating meat. So for those who don’t, eating paleo can be more of a challenge. But Plant-Based Paleo shows that there are plenty of nuts, seeds, and vegetables that can provide us with enough protein to be healthy and energised. This book is full of delicious recipes such as Raw Pad Thai, Sweet Potato Gnocchi, and Eggplant Bacon. Bread is often the food that paleo eaters miss the most, and find it difficult to replace. Well, Brittany Angell doesn’t think we should have to. 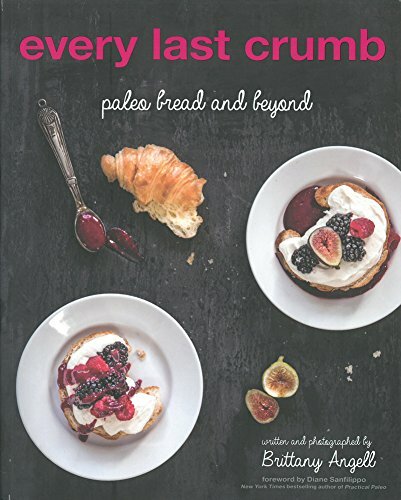 Her recipes are made with flours from chestnuts, sweet potatoes, coconuts, and more, and make sandwich breads, pastries, and bagels, among many others. So before you swear off bread forever, this could change your mind! In The Paleo Cupboard Cookbook, we’re given more than 145 recipes that are grain-free, gluten-free, and dairy-free. Recipes include: Moroccan Chicken, Cajun Shrimp and Grits, and Tomato Basil Soup with Crispy Shallots. The book also offers an herb and spice guide, snack ideas, and meal plan and shopping list guides.